Adam has been involved in legal practice management for more than 15 years, with the last 12 managing respectively the largest civil legal aid firm (Duncan Lewis – 2007- 2011) and the largest criminal legal aid firm (Tuckers – 20011 – present) in that time. A qualified solicitor (still), Adam has had a diverse career in private practice including spells as a residential conveyancer on the one hand and dealing with heavyweight spread betting litigation & international arbitration for Russian oligarchs on the other. He turned his back on practising law in 2005, after completing his MBA, and he now devotes all his time to the better management of law firms. Adam has been a member of the Law Society’s Crime Practitioners’ Group for 7 years and has regularly been a member of delegations to the Ministry of Justice to engage with government on policy relating to the criminal justice system and legal aid funding, including the government’s 18 month review of criminal justice which commenced at the beginning of 2019. 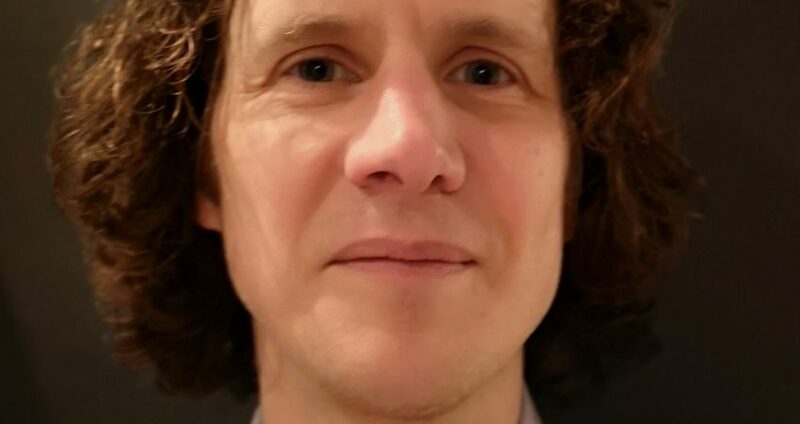 In 2018, Adam won both the inaugural LAPG award for Practice Manager of the Year, as well as the award for Access to Justice through IT, based on the development of Tuckers’ CaseRatio software. IT Infrastructure/digitisation: Adam has implemented significant projects overhauling analogue systems and bringing Tuckers into the digital age. He brought paperless working from the inception of a case at the police station right through to (nearly) removing any archiving costs from the business, given the absence of paper in even the largest Crown Court cases. Adam established a wholly owned subsidiary in India for the purposes of developing case & practice management software. From a standing start, within 3 years, the software has been developed, tested and rolled out across 17 offices throughout the country. Mergers: Rolling out change, practices and procedures in an environment where one has established credibility and buy in to a certain way of doing things is one thing. Doing so following a merger with a practice which has its own way of doing things is quite another. Adam has directly integrated more than 10 firms (including maintaining separate geographical and office locations) over the course of the last 15 years. As yet, none of them have been vanity projects – increasing turnover, but at the expense of maintaining profitability. This requires a proper understanding of the way that change impacts on individuals concerned, confidence in the procedures being implemented…and infinite patience! Compliance: Adam has led on both obtaining and retaining quality marks, including Lexcel, Investors in People (Gold) & SQM, ensuring consistency of processes and standards across multiple sites and multiple practice areas. He has been a CoLP for over a decade, taking in his stride the ever increasing compliance burden in that time; including implementation of Tuckers’ GDPR regime (incorporating relevant international agreements between Tuckers’ UK based LLP and Indian based software development company). Financial & Performance management: From the highs of delivering sustainable profitability in challenging financial environments, including against the background of public funding cuts, to the lows of having to conduct redundancy consultations and performance management procedures Adam has delivered on these responsibilities and operates as the translator between business owners and those lawyers and support Being CoFA of a business turning over in excess of £12m is a responsibility which requires a clear understanding of the Solicitors’ Accounts Rules, a firm grasp of financial and management accounting and confidence in matter and business finance processes. Physical infrastructure: The modern work place is increasingly defined by the need for less office space, but that can still bring its own challenges in terms of defining the space required and configuring it for the needs of the business – as well as ensuring that you do not alienate staff in the process. Adam has worked on projects kitting out offices for 150 people from a mere shell to crunching 70 staff from 3 floors of office space into 2 floors. All projects require careful planning – and all office moves/changes can benefit from the experience of someone who has smoothed some of the rough edges off the process, having survived a few challenging moments in previous projects himself. Adam integrates easily with people, having an informal and relaxed style. However, this is allied with an appetite for hard work and a preparedness to roll up his sleeves and get stuck in with whatever needs to be done.